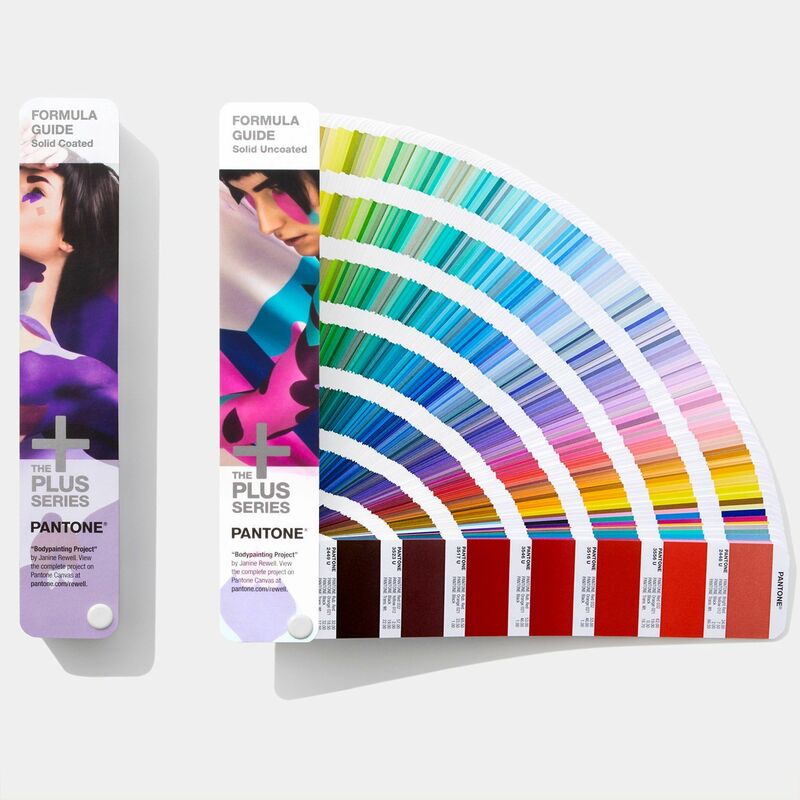 ◦ Set features 1,867 Solid Colors printed on both coated and uncoated paper, for the most options possible to communicate and specify color intent accurately and confidently. 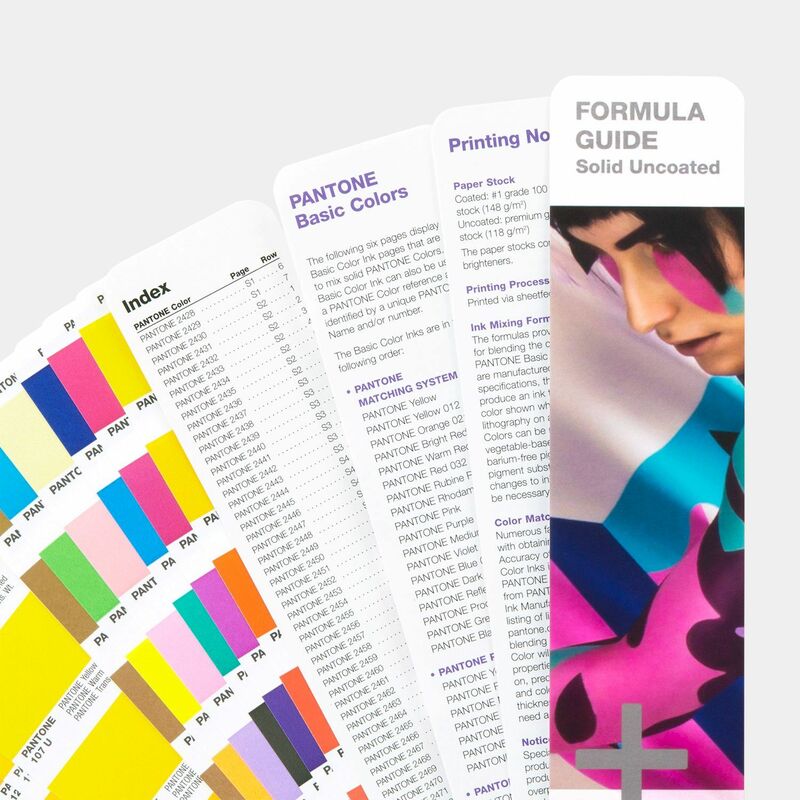 ◦ New colors have been added to the front of the guides, allowing designers to easily find 112 new means of inspiration, expression and opportunities for creativity. 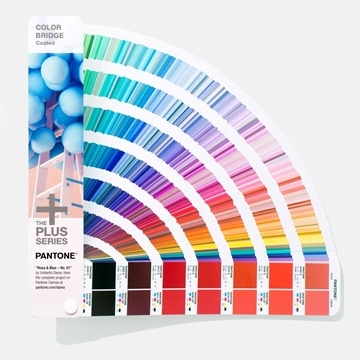 ◦ Colors are each displayed with coordinating numbers and ink formulations so that printers anywhere in the world will understand clearly how to best mix colors when matching on press. ◦ Colors are predominantly arranged chromatically to allow for ease in visually locating color families and ranges. ◦ Printed colors bleed off both page sides so colors can be best analyzed for matching when guide pages are laid on top of printed works during evaluation. 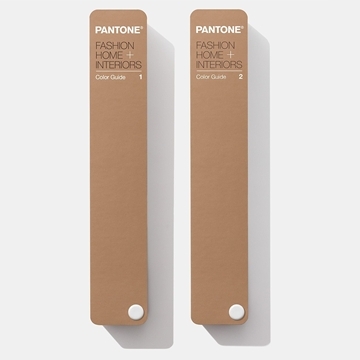 ◦ An index can be found in the back of each guide for easy location of colors by number. ◦ The convenient fan guide format allows for optimal color scanning and portability. ◦ Guides are produced on text-weight paper in order to best simulate the most commonly used industry printing substrate. ◦ A lighting indicator tool can be found at the back of each guide, allowing the user to instantly understand if current lighting conditions are suitable for accurate color evaluation and matching. 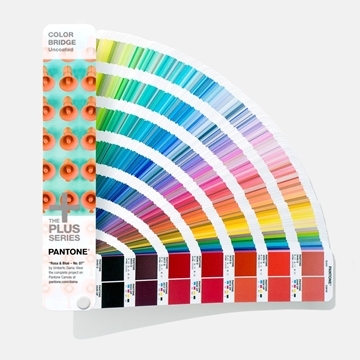 ◦ Purchase of this guide set includes a free download of PANTONE COLOR MANAGER Software. 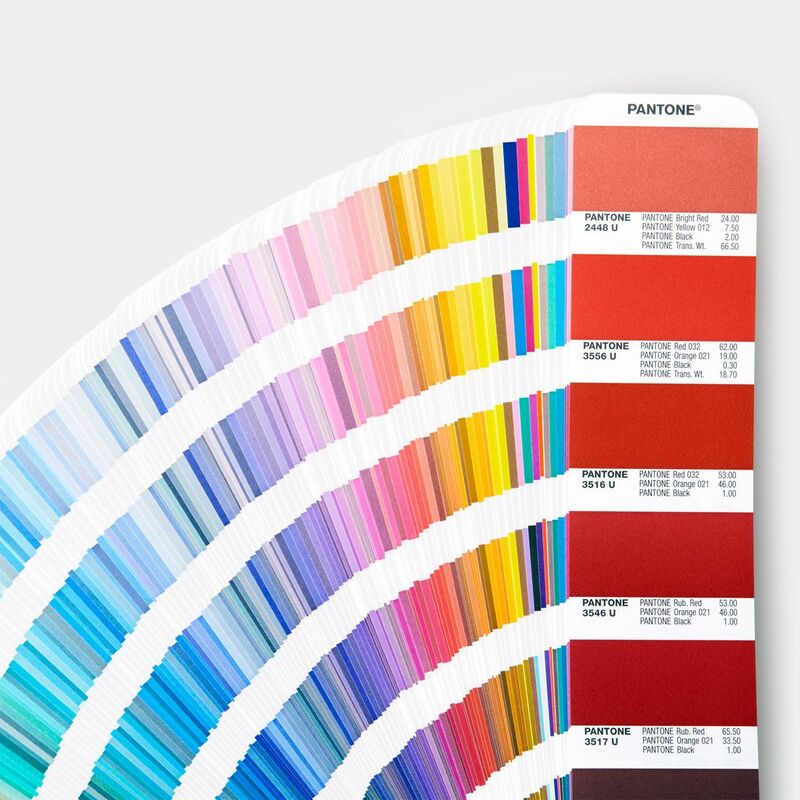 PANTONE COLOR MANAGER Software allows upload of all the latest Pantone Color Libraries into your favorite design applications. 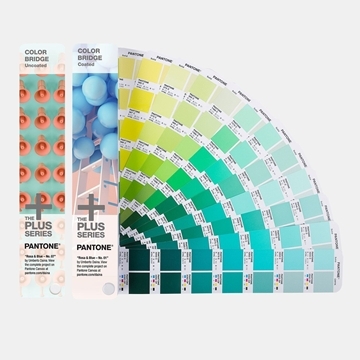 ◦ Individual guide size: 1 5/8" x 9 1/4"
This new edition of the Color Guide presents the existing 2,310 FASHION, HOME + INTERIORS Colors created from new, more Earth-friendly formulations and an accompanying new PANTONE Color Number suffix, TPG (Textile Paper – “Green”). 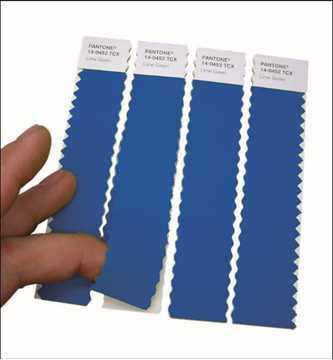 The colorant combinations have been modified to remove all lead pigments and chromium, while maintaining the same color integrity as the previous versions that featured the TPX suffix.Reformulating the colors in this product to make them more eco-friendly has allowed us to meet compliance standards in European countries and other parts of the world.